Morena Baccarin (aka Inara) to appear at Supanova Sydney & Perth in June! Can’t Stop The Serenity 2014 Tickets Now On Sale! UPDATE: Head on over to bit.ly/csts2014 to get your tickets to this years event! 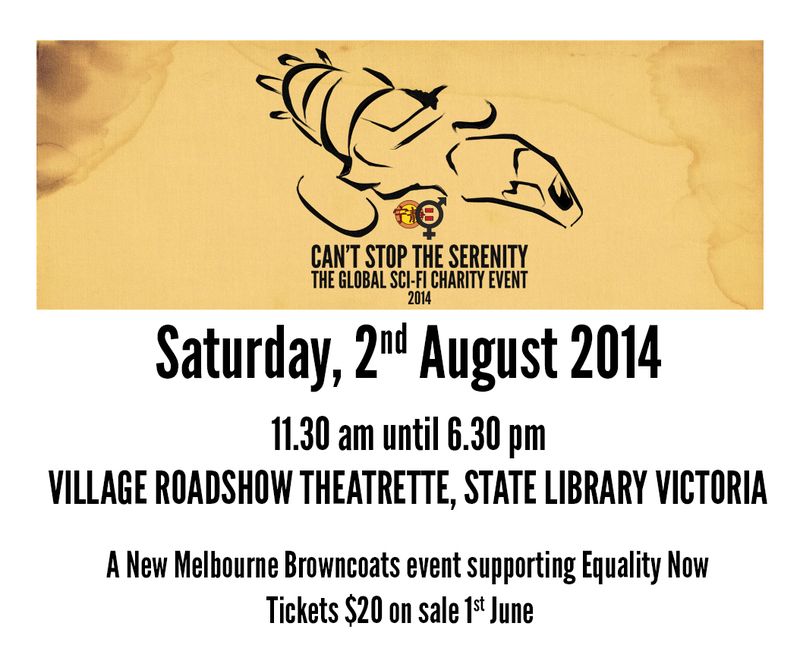 New Melbourne Browncoats are proud to present Can’t Stop The Serenity Melbourne 2014. For eight years, Browncoats in Melbourne have participated in this global event, locally raising more than $25,000 for Equality Now, and contributing to over $900,000 in donations worldwide. We will be showing Serenity in HD, and crowd favourite Dr Horrible’s Sing-Along Blog and much more! Once again the fabulous Ben McKenzie will be our MC. Ben has hosted our previous two CSTS events, and as a Browncoat himself, he understands what we’re about. We greatly appreciate Ben’s donation of his time. 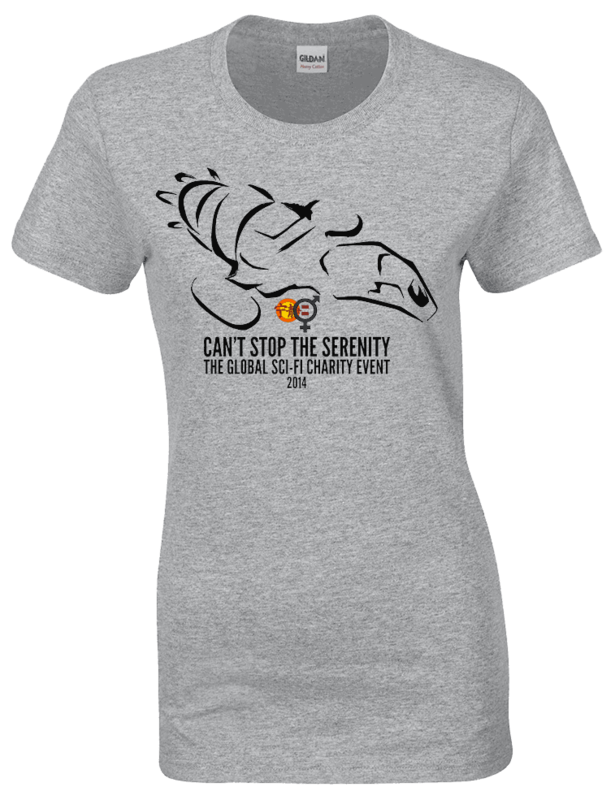 Can’t Stop The Serenity also features Raffles, Auctions, Door Prizes, Cosplay, and Merchandise – including our famous hand-made very cunning hats. All raffle, auction and merch items are cash only on the day. Our venue will once again be the Village Roadshow Theatrette at the State Library of Victoria. Our event sold out for the second year running last year, so you had better get in early for your tickets! Tickets are just $20 and will be available for online purchase from 1 June. So come along, bring a friend, bring someone who has never seen Firefly, and they’ll have fun, raise much needed money and become part of the Browncoat family! PRE-ORDER YOUR OFFICIAL CSTS 2014 SHIRT! Pre-orders for the official 2014 CSTS event t-shirts are now being taken. All shirts are $25 (AUD) – Unisex shirts range from size S-5XL, and Women’s slimfit from XS-4XL. To purchase your shirt, please email sec@newmelbournebrowncoats.com with your full name, email address, style (Unisex or Women’s) and size request, and we will send you a PayPal invoice. There are two delivery options: postage or pickup at the event on August 2. The cost of postage will be advised as soon as possible. Orders MUST be received – and paid for – by May 12, to meet the global deadline.